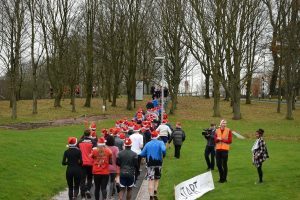 On a cold December day around one hundred contestants descended on the fields below the University to battle the elements and run for a cause. 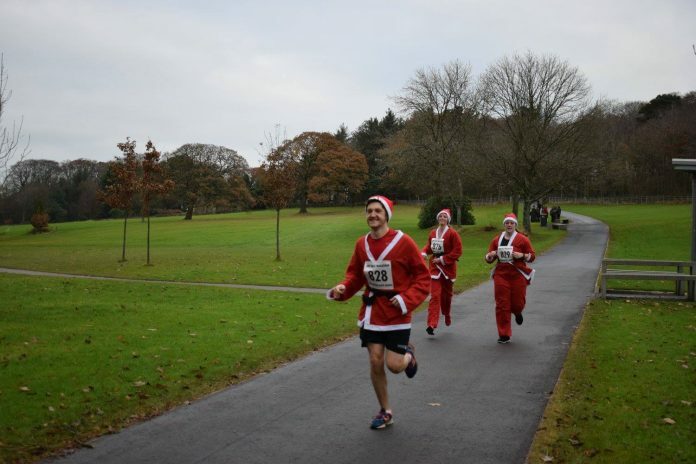 This was Lancaster University’s first Santa Run and I spoke to one of the organisers, Callum Barltrop, to find out why so many people were willing to venture out into winter air. Ranging over a three kilometre course around Lancaster University, the runners tackled mud and cold in high spirits. 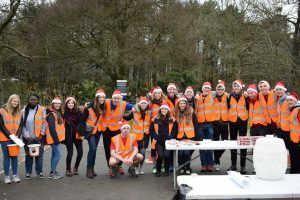 The santa-clad sprinters drew some attention from curious passers by but they soldiered on to the finish line, where medals and mince pies greeted them. The event was organised by students from the Lancaster Running Club working with Just Play and the Defying Dementia Student group. “We also owe a great deal of gratitude to Mark Gardner from LUSU and Sam Cadwaller from Sport Lancaster, as well as the university and LUSU without whom we would not have been able to put the event on,” said Barltrop. The race attracted people of all ages all united by the goal of raising money for dementia research. They raised £270 for Defying Dementia, and their Just Giving page is still open to donations. Plans are already being made for next year as Barltrop plans to turn this into an annual event for the festive season. Previous articleWhat NOT to do in your first year.